As good as Hyundai vehicles have become, “fun to drive” is not usually something you associate with them. Functional, yes, and attractive both inside and out as well. The Sonata is a great midsize sedan, and the Genesis, now broken off as a separate brand, is one of the more underrated sedans in the luxury segment. They are not sluggards by any means, but still more tuned to efficiency, daily commutes and family trips than performance. Even the Veloster, when it was launched as a 2012 model, lacked the kind of peppiness often found in the compact segment. 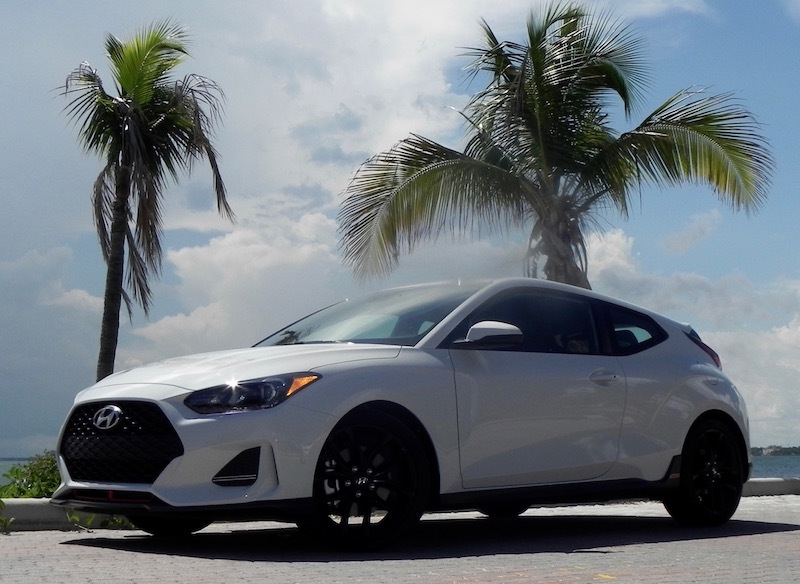 Some early reviews of the first-year Veloster used terms like “lackluster” or “sluggish” acceleration, “wimpy engine” and even “feels sluggish from stoplight” to describe what otherwise was considered a praiseworthy new car. That’s what 1.6-liter, 138 horsepower engine is going to get you. 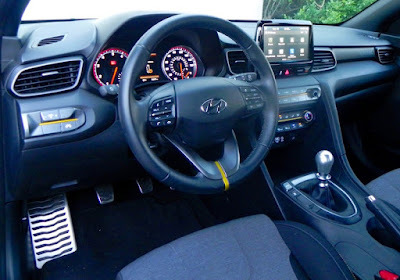 Hyundai remedied this by adding a turbo version for 2013 that boosted horsepower to 201 with 195 pound-feet of torque while infringing only modestly on fuel mileage figures, which remained over 30 miles-per-gallon highway with either a manual or automatic transmission. 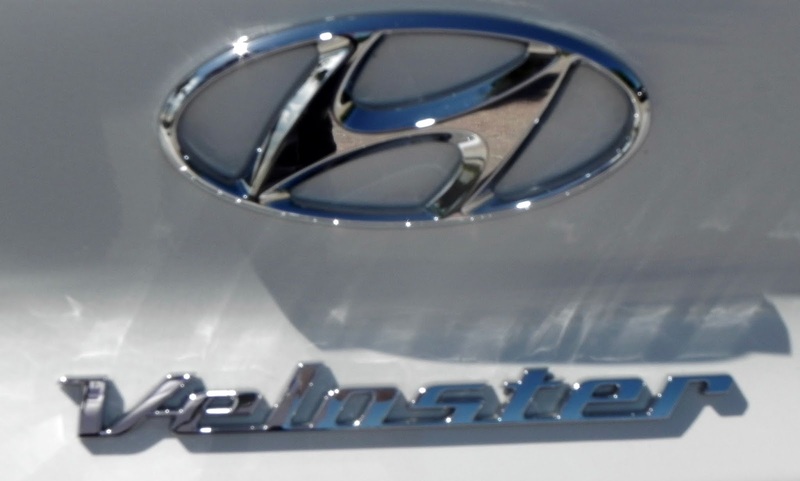 The South Korean automaker skipped production of the Veloster for a year before displaying it as a 2019 model at the annual North American Auto Show in Detroit last January. Full production began in Korea in March, and it went to showrooms during the second quarter of this year. The 2019 Veloster got a complete redesign, though it retained the odd, asymmetrical three-door configuration with two doors on the passenger side but only one slightly larger one on the driver’s side. The R-Spec model that served as my recent test vehicle features the 1.6-liter turbo 4-cylinder engine mated with a short-throw, six-speed manual transmission. The combination delivered not only a nifty experience behind the wheel but excellent fuel economy of 26 miles-per-gallon city, 33 highway, and 29 combined. It should be noted that an even higher performance Veloster N model is new for 2019 and it features a 2.0-liter turbo 4-banger that boosts power figures to 275 hp and 260 lb.-ft. of torque. 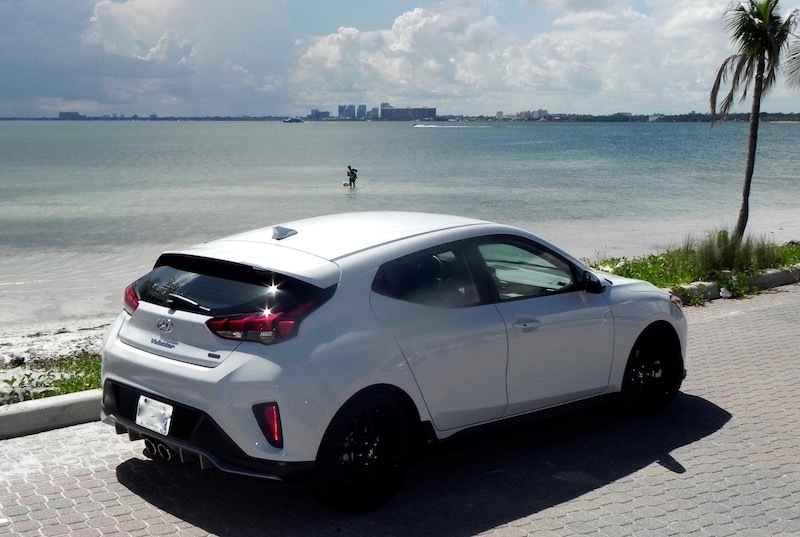 But the R-Spec kind of hits the sweet spot between the base 2.0 model with its normally aspirated engine (147 hp and 132 lb.-ft.) and the new N.
The Veloster’s interior also got an upgrade for 2019, and there is ample room — at least for front-seat riders. They get to ride in comfortable, uniquely designed cloth seats with up to 42.9 inches of legroom. 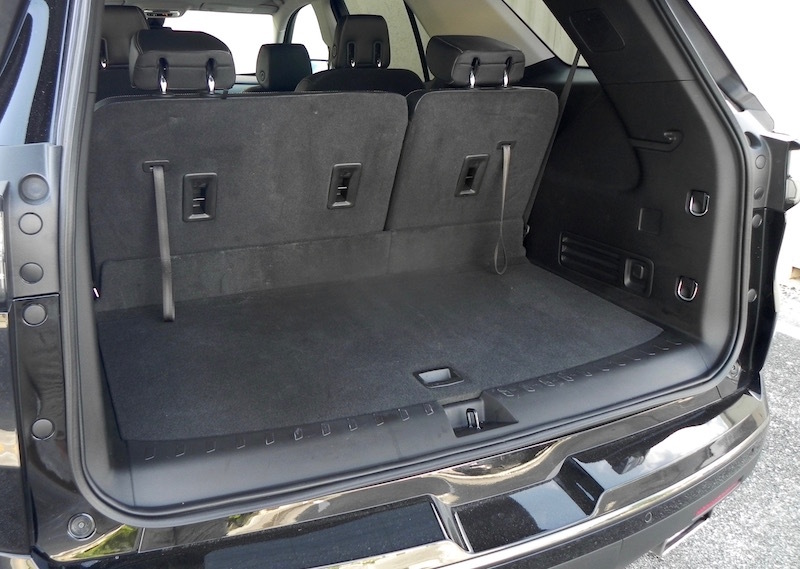 Not that the seats in the back are uncomfortable, but only 34.1 inches of legroom is offered and headroom is cut back to 35.9 inches because of the slanted roof. At least it’s easy enough to get into the back from the proper side, but the three-door configuration remains somewhat of a puzzler. 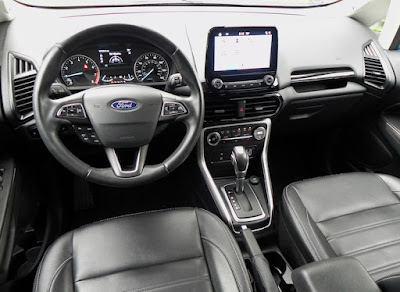 There is a long list of safety features, though blind-spot warning is not included (another reason to keep those mirrors adjusted correctly), and if you aren’t comfortable with the 6-speed manual transmission, you can get the R-Spec with a 6-speed automatic or 7-speed double-clutch transmission with paddle shifters. Tech functions include an 8-inch display for the audio system (AM/FM/SiriusXM satellite radio), Android Auto and Apple CarPlay, push-button start, Hyundai’s Blue Link services, Bluetooth connectivity (linking a cell phone is a snap), steering wheel-mounted controls for cruise control, Bluetooth, and audio systems, and dual USB charging points. Don’t like the way your Veloster sounds? Simply adjust the Active Engine Sound system and a synthesizer will amplify or quiet it to your liking. It’s not actual engine sound but kind of an artificial way of adding to the sportiness of the engine tone. All in all, it's a nifty little ride. 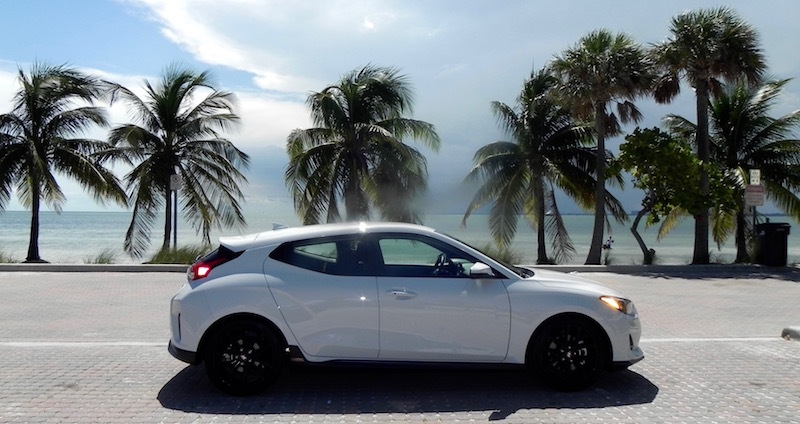 The base Veloster starts at $19,385 with the destination and delivery charges included. The R-Spec checks in at $23,785. 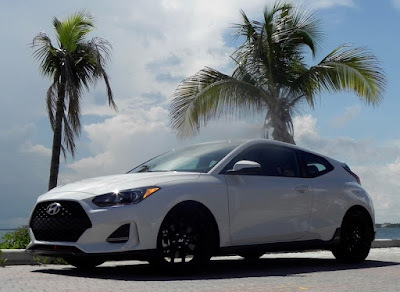 What I liked about the 2019 Hyundai Veloster R-Spec: It packs plenty of punch, and the standard 6-speed manual transmission simply adds to the fun. Why waste money going for the automatic? What I didn't like about the 2019 Hyundai Veloster R-Spec: Sorry, Hyundai designers, I simply don't “get” the three-door design. If you’re going to have access to the backseats on one side (the right), why not have it on the other? Rear visibility is restricted, so keep those side mirrors adjusted properly. 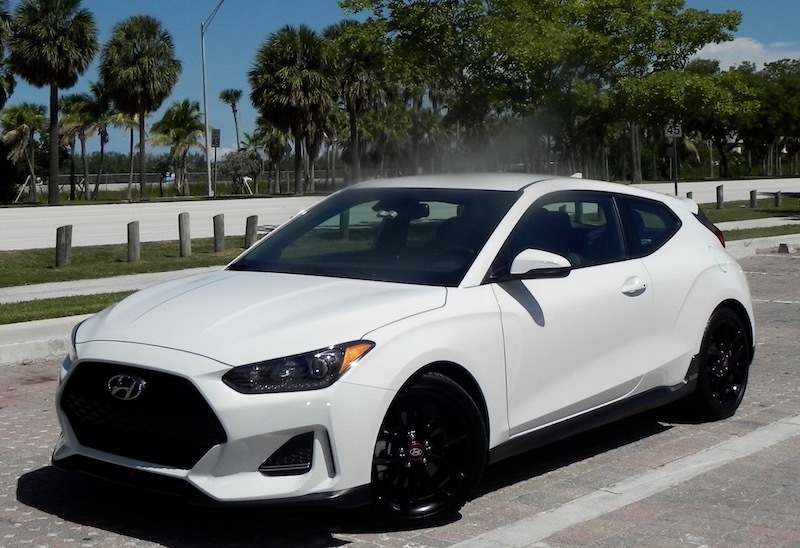 Would I buy the 2109 Hyundai Veloster R-Spec? For a second car in the family, yes. It’s a bit on the small side and access to the back isn’t all that convenient. But simplly approach it like a two-passenger vehicle and it’s a good choice among spunky compacts. 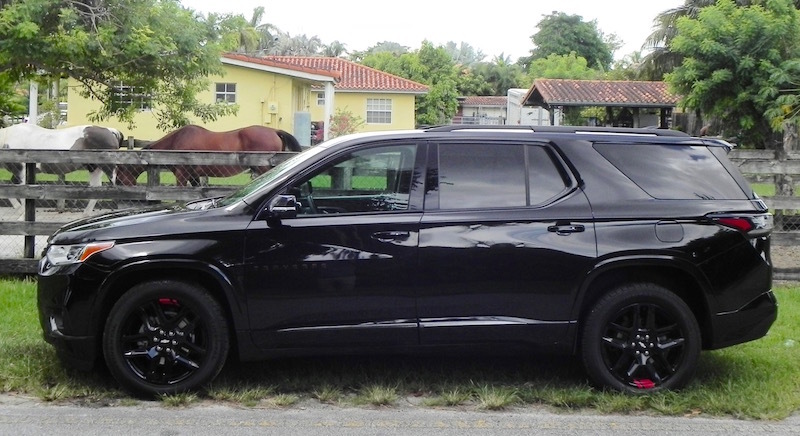 Chevrolet apparently has been busy lately in updating its fleet of crossovers and SUVs. The 2018 Traverse is the fourth SUV/crossover that the manufacturer has updated within a year, joining the Equinox, Trax, and Bolt EV in that category. Introduced as a 2009 model to replace the truck-based Trailblazer, the Traverse moved into its second generation as a 2018 model with new, bolder styling, more safety features, two new trim levels, and other updates that make it a very viable option in its class, especially for growing families who need lots of room for both passengers and their stuff. 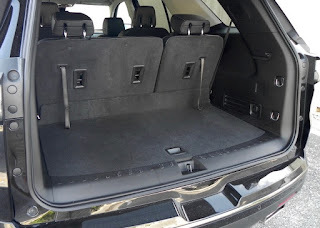 Modifications to second-row seating accommodations (either a folding bench seat or captain's chairs, depending on the trim level) provide easy access to what is a roomy third row (33.5 inches of legroom, 38.2 for headroom) that still leaves a nice cargo space (23 cubic feet and over 98 cubic feet with the second and third rows folded). 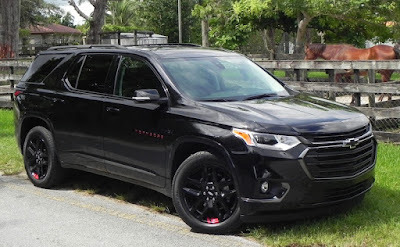 The Traverse is offered in several trim levels that start at $30,875 for the base L trim (including $945 destination and delivery) running to over $54,000 for the new High Country edition. The all-wheel-drive Premier model that served as my test vehicle for a recent week started with a base MSRP of $47,350 and finished at $50,140 with Redline Edition features and the destination charge added on. Other trim models are LS, LT, and RS with the LT ($37,040 with cloth seating, $43,640 with leather) expected to be the best seller. Leather is standard on the Premier along with such features as keyless entry and push-button start, remote start, LED headlamps and taillights, fog lights, power hands-free lift gate, roof rails, trailering equipment, heated second-row seats, 8-way power driver's seat, tilt-and-telescoping steering wheel, heated and ventilated front seats, tri-zone climate control, and a leather-wrapped steering wheel. Safety equipment includes rear park assist, teen driver technology, rear cross traffic alert, lane change and blind spot alert, lane-keeping assist and departure warning, forward collision alert, low-speed forward auto braking, and surround vision camera, the latter an especially nice feature for vehicles of this size. 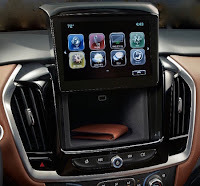 Finally, techno features include Chevrolet MyLink system with navigation, Bluetooth streaming, Apple CarPlay and Android Auto access, OnStar capability, and satellite radio (3-month trial). Chevy has been very aggressive in the tech area so naturally the Traverse gets a 4G LTE wi-fi hotspot to keep you in touch with the world outside. A 3.6-liter, V6 engine that produces 310 horsepower and 266 pound-feet of torque is standard across the line. It is mated to a 9-speed automatic transmission, and that combination produces ratings of 18 miles-per-gallon city, 27 highway with front-wheel drive and 17/26 with available all-wheel drive. A 2.0-liter turbo available on RS models is earns numbers of 20/26. That's a bit more horsepower and slightly better fuel mileage than what was offered by its predecessor and results in a performance that should satisfy all but the most power-hungry drivers. I never felt that I needed more in the situations I encountered. 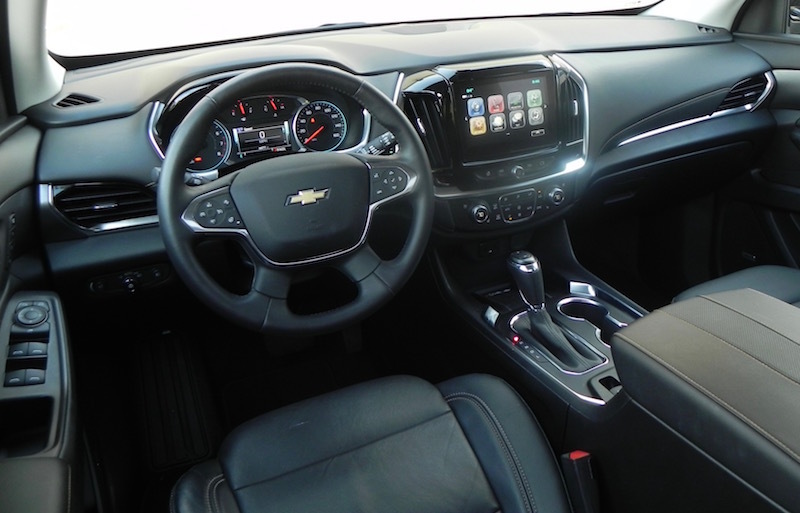 What I liked about the 2018 Chevrolet Traverse Premier: Technological features are plentiful and operate off a user-friendly, 8-inch touchscreen. 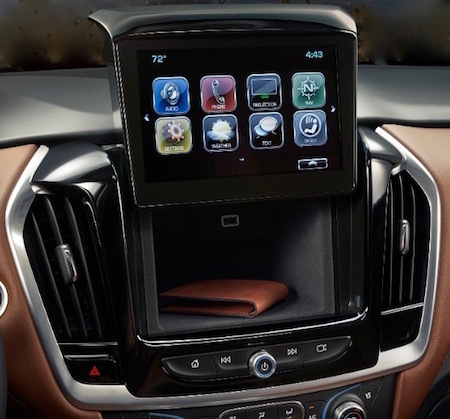 That touchscreen can be raised with the push of a button, giving access to a small storage space. 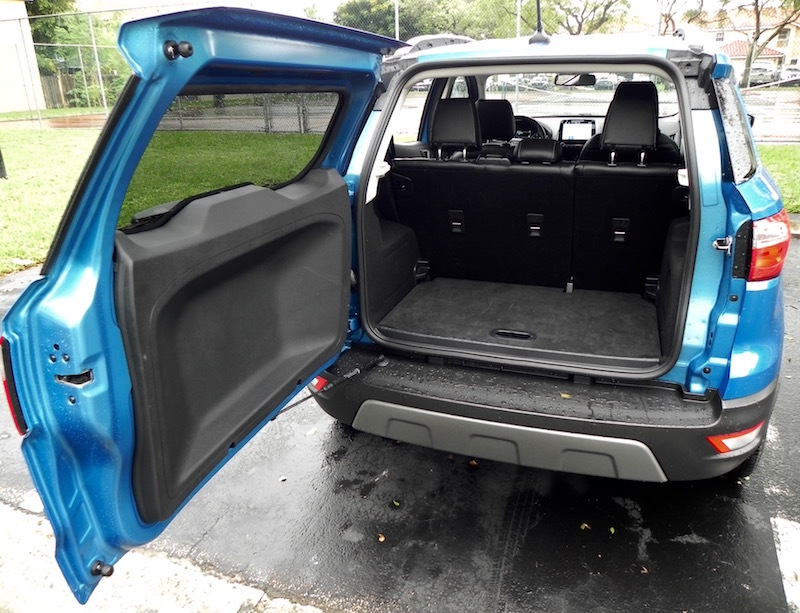 Its spacious cabin gives the feel of a full-size SUV with lots of room for passengers and cargo. Captain's chairs provide easy to the third row. 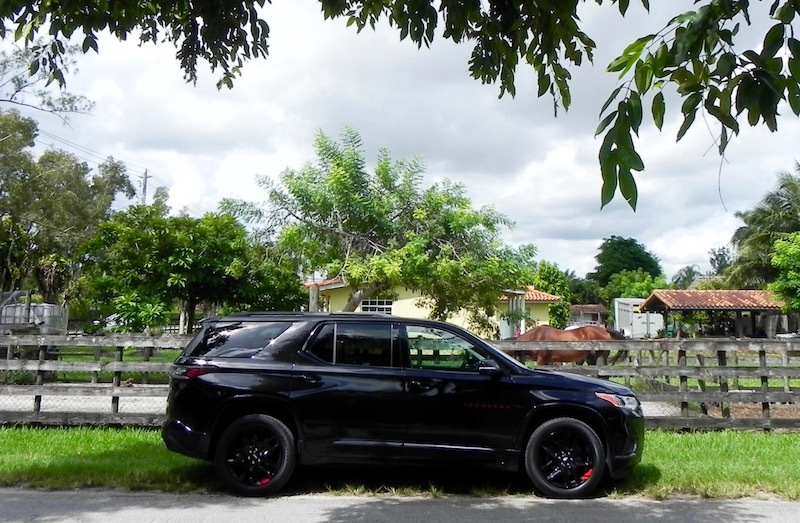 What I didn't like about the 2018 Chevrolet Traverse Premier: You can't turn off the stop-start system, though you can override it by gently -- and slightly -- releasing brake pressure once you come to a complete stop. Some of the more exotic options, like adaptive cruise control, are not available on lower trim levels. 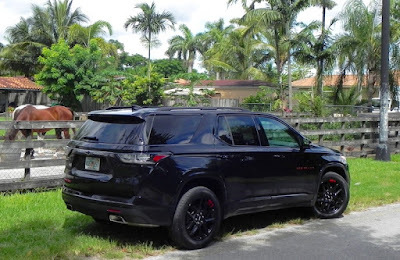 Would I buy the 2018 Chevrolet Traverse Premier? Though classed as a midsize, the Traverse is a bit too big for my needs and tastes, but it could be just right for a couple with a growing family. It is functional in an attractive package. 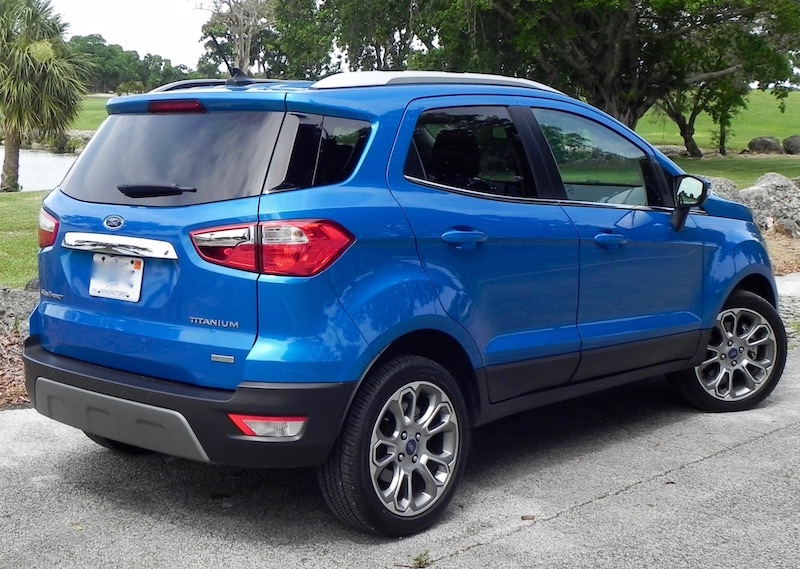 FORD OUT WITH NEW SMALL CROSSOVER WITH ECOSPORT’S INTRODUCTION TO U.S.
Ford may be getting out of the sedan market, but that doesn’t mean the company is getting out of the car business. 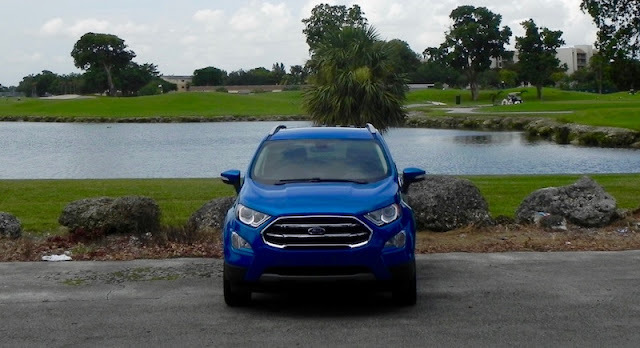 In fact, the Detroit News last month reported in an interview with Hau Thai-Tang, Ford's executive vice president of product development and purchasing, that the company actually expects to have three more new vehicles in its lineup by 2023 as it puts its emphasis on trucks and SUVs/crossovers. That would give the company 23 vehicles in all, which would include the Mustang but not the familiar Fusion or Taurus sedans. 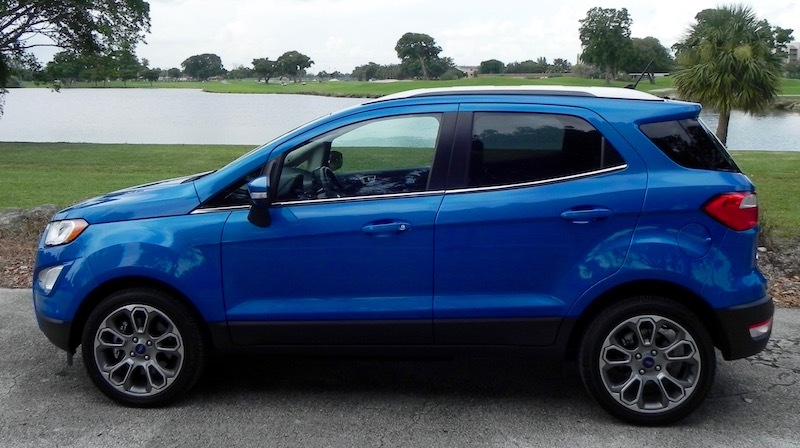 The consumer trend Ford is seeing is a reduction in sales numbers for traditional passenger cars like the Toyota Camry and Honda Civic in decline and those for crossovers and SUVs on the rise. Of the top 10 sedans, eight are showing sales declines for the year of over 20 percent in some cases. Even the leading seller for the segment, the Toyota Camry, was down 18.65 percent for August over the same month for 2017 and off 5 percent for the year. Perhaps in reaction to last spring’s news about the oncoming end of production, Ford Fusion sales are down over 21 percent and Ford’s Focus numbers are down 16.33 percent for the year. For August, the Fusion was off over 35 percent, the Focus 30 percent. Taurus sales also are down, but not nearly as much. Meanwhile, the Mustang’s were up over 35 percent for the month and are up just under 1 percent for the year-to-date. On the other hand, six of the top 10 selling SUVs and crossovers are experiencing sales increases for the year, and of the four that aren’t, two are off by less than 9 percent over their 2017 numbers and two others are down by less than 2 percent. 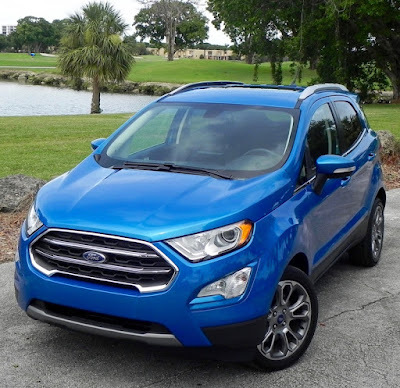 Thus, it’s not surprising that a new vehicle added to the Ford Fleet is a crossover dubbed EcoSport, which for some reason is pronounced as “Echo Sport.” It was introduced in Brazil for 2004 and launched globally in 2012, but didn’t arrive in the U.S. until last year as a 2018 model. It is aimed at the rather competitive compact crossover/SUV segment. (Think Kia Soul, Honda HR-V, Hyundai Kona, Mazda CX-3, and Nissan Kicks and Rogue Sport here) and comes in four trim levels: S, SE, SES, and Titanium. At 161.3 inches long with a wheelbase of under 100 inches, the Ecosport is about 17 inches shorter and with a wheelbase that is 6.7 inches shorter than the Escape, which in itself is 10 inches shorter than the Edge and 20 shorter than the Explorer. 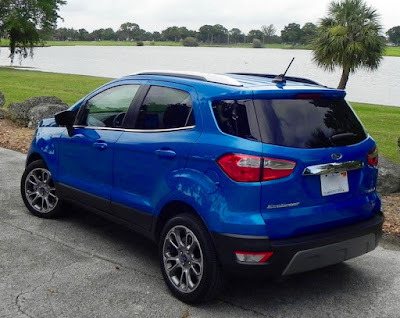 The base engine on S, SE, and Titantium models is a 1.0-liter, Ecoboost 3-cylinder (123 horsepower, 125 pound-feet of torque) that is enough to get its 3,021 pounds moving but not at much of a pace. A 2.0-liter 4-banger is standard on the SES, and it boosts horsepower to 166 and torque to 149 pound-feet. Neither engine is all that great on fuel numbers. The government rates 3-cylinder models at 27 miles-per-gallon city, 29 highway, and 28 overall and the AWD models at 23/29/25. The only transmission offered is a 6-speed SelectShift automatic, which is a bummer but also pretty much the way life is these days. The S, SE, and Titanium are all front-wheel drive, the SES all-wheel. You can opt for both the bigger engine and AWD on the S, SE, and Titanium, which, frankly, I would recommend. The Titanium (with the standard 3-cylinder engine and FWD) served as our test model for the week. Though it sits at the top of the EcoSport lineup, at $25,880 the FWD Titanium comes in just under the $26,880 for the SES with its larger engine and AWD, but the AWD Titanium tops the price list at $27,330. The cabin features lots of hard plastics and doesn’t have the upscale feeling of some of its competitors, but it’s not what you would call spartan either. With the Titanium, you get such standard feature as an easy fill capless fuel filter, fog lamps, LED signature lighting and automatic Halogen headlamps, power moonroof, second-row fold flat (by adjusting the cargo floor) seats, leather-trimmed heat front seats, leather-wrapped shift knob, Smart charging USB port, auto start/stop technology (which you can switch off), keylesss entry and push-button start, and Sync3 with 8-inch touchscreen. Oh, yes. One kind of unusual thing. Instead of the usual lift gate, the back door swings open horizontally to provide access to 20.9 cubic feet with the second-row seats up and 50.9 with them folded. Frankly, that “fifth door” may be its most distinctive feature. 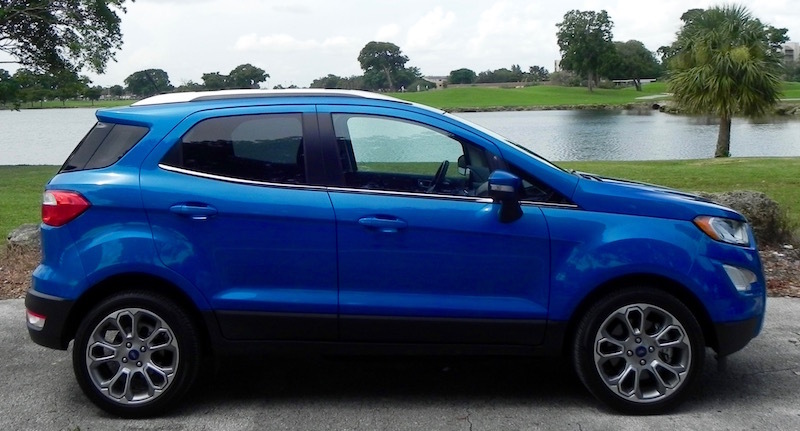 What I liked about the 2018 Ford Ecosport Titanium: Ford's Sync system for operation of infotainment functions came under some criticism when it was introduced a few years ago, but now Sync3 is one of the most user-friendly around. The side mirrors also are of a nice size to give you a good view of vehicles coming up on your blind spots (assuming you have set them correctly. What I didn't like about the 2018 Ford Ecosport Titanium: The base engine lacks punch. With no manual transmission offered, there is no opportunity to make up for that with your driving style. Would I buy the 2018 Ford Ecosport Titanium? Probably not. Frankly there are better choices in this segment that provide more in the way a fun experience behind the wheel as well as being functional. Its ordinary fuel economy numbers don’t make up for that shortcoming.